Perfect Laser is a company that specializes in R&D, production, sales, training and after-sales of various types of laser equipment. The model of Perfect Laser is flat printer of PE-UV0609. The flat printer uses high-speed, high-precision, high-quality double nozzles. With a width of 600*900mm, and the uv flatbed printing has the advantages of high production efficiency, saving more time and reducing production costs. The flat printer can achieve excellent production efficiency, rich colorful colors, to meet the various needs of various industries, various materials, color inkjet customers. 1. Home decoration, shop decoration and other industries: use the flat printer to meet the needs of customers customized. 2. Oil painting wall, decorative painting and other industries:the uv flatbed printing can replace the traditional hand-painted, improve production efficiency. 3. Advertising signage display board display industry: Flat printer can print on the surface of advertising boards of various materials to reduce production costs. 4. Leather textile printing industry: The uv flatbed printing can print on leather and fabric with high precision and high efficiency. 1. 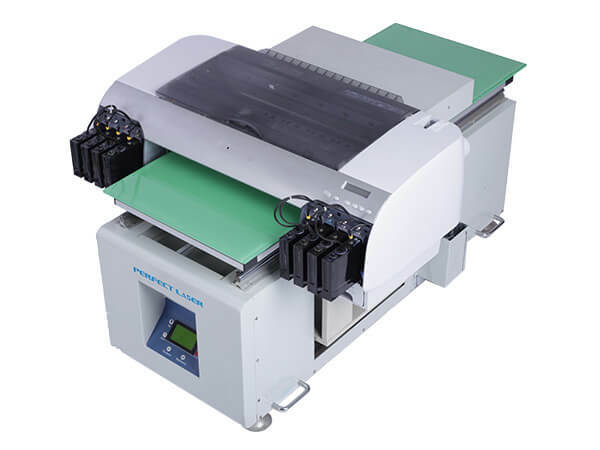 The flat printer imported well-known brand linear guide rails, long service life, high stability of movement, greatly reduce the noise generated by the equipment during high-speed motion, control within 40 decibels. 2.The uv flatbed printing Using a unique nozzle collision avoidance system, you can easily deal with any material debugging, to prevent accidents caused by human error, better protection of the nozzle. 3. Ink cartridge installation automatic alarm system: When the ink level is less than one-third, the ink cartridge automatically lights up, allowing continuous printing, production smooth. 4.The flat printer has a professional RIP software: The use of domestic famous brand professional color management software to ensure bright color output. 5. The uv flatbed printing equipped with the bi-directional printing to improve the printing speed and efficiency UV lamp alternate curing. 6. The scale is printed on the worktable to increase the speed and accuracy of printing. Arts & Crafts：barrette,USB flash memory,glasses frame,watch belt,cigaret case,lighter,badge,stationery products,toys,cellphone case,etc.